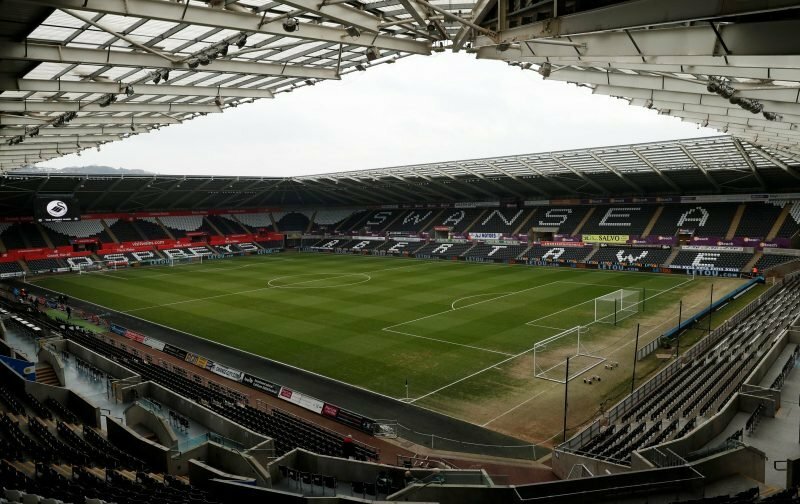 There is some confusion and questioning over where the money has gone from Swansea City Football Club since Levien and Kaplan have taken ownership. Taken out of the club and moved off to D.C United? Helping to pay Wayne Rooney’s ridiculous wages? Those claims are wide of the mark. Why? Simply because the money has been overspent and we’re now paying the price. There’s been rumours that the club is in £30m of debt and when you sum everything up – it’s probably not wide of the mark when we’re looking to get the wage bill down to a manageable level for a Championship club. Our turnover is going to massively decrease and parachute payments probably won’t cover our operating costs – and they decrease further over the next two years. As outsiders looking in and seeing a negative net spend on players, you would automatically think that we have millions in the bank but again, unfortunately, that’s not true and the reality paints a far bleaker picture. In a nutshell, the main point here is not to shift attention to these claims involving D.C United but to focus on what’s really gone badly wrong, financially, over the last few years. The big problem at the club has been sustainability. We simply don’t make enough money ourselves and have heavily relied on Premier League TV money and profits from player sales to make a profit. More and more money has been spent on transfer fees and wages and it’s just got out of control. Our early philosophy and wage structure seemed to go out of the window – possibly in growing desperation to ensure our Premier League status? We were once reluctant to pay ‘big money’ to bring in Wilfried Bony to the club when Michael Laudrup was manager. A few years later, following a season out of action at Stoke, we’re happy to pay out £12m to see his return. When Monk was manager, we brought in Gomis and Andre Ayew on free signings but as a result of that, we could afford to pay out higher wages. A wage and transfer fee structure was once in place, the wage structure went first, followed by the transfer fee structure as we paid out the likes of £18m for Andre Ayew’s return and £15.5m on Borja Baston. We did make a lot of that back though with the big sale of Gylfi Sigurdsson for £45m but you’ve still got to look at the bigger picture here and look at the turnover numbers compared with the overall operating costs of the business. Again, it doesn’t paint a pretty picture. In the accounts Ayew’s cost would be £4.5m amortisation (£18m/4) plus whatever his wages are (probably another £3-4m). Again, huge increasing amounts that were just not manageable. The season before we were promoted to the Championship, our wage bill was less than £9m. That increased to £17m the following season as a result of bonuses paid for promotion to the Premier League. The graph below highlights another on-going worry – how the operating costs exceeded turnover. To summarise, the money isn’t going out to D.C United. We haven’t got money and we’re fighting to help us get back to a healthy financial position. That’s down to poor financial management, mistakes and the need for investment to cope in the Premier League. An excellent account but it still won’t convince some fans who want to look big and clever. So if the club is £30m in debt and we have intake of over £100m in transfers plus a saving of the 50k wages these were paying, the club shouldnt be in debt? And if the owners told the fans or the trust, with figure to back it up then we could understand. As a fan our problem is how do clubs such as Bournemouth and Stoke, with less or similar gate taking afford to spend why we are resorting to fire sales. Stoke are £180 million in debt! It doesn’t really matter where its gone but it is an absolute disgrace how the finances have been managed at Swansea. Who authorised the spending in January, an unbelievable gamble with Ayew and Bony for a club of our size. I did a little checking of how much the Swans were paid for the 2017/18 season in the Premier League. This is broken down into Merit Money, 5.7million which is paid on your position in the league. Then there are Facility fees, which amounted to 12.3 million, these are how many times the club was aired on live TV, based on 10 live games. Next there are domestic TV rights amounting to 34.8million. All clubs get the same. All clubs get 40.7million for overseas TV rights. And finally 5million for central commercialisation such as sponsors. TOTAL of 98.5 million. Which as you can see is BIG money . Where did it all go we ask? The wage bill for 2017 was 98million. I would guess that it went up again the following year. There’s additional operating costs on top of that as well and that’s not to mention transfer fees paid out. I’m a DC United fan. With the exception of bringing in Rooney, I can assure you we have not gotten any of this money. Hi Zach, out of interest, what are the fans view of Levien and Kaplan? Protests here says it all how we all feel, is it similar there?